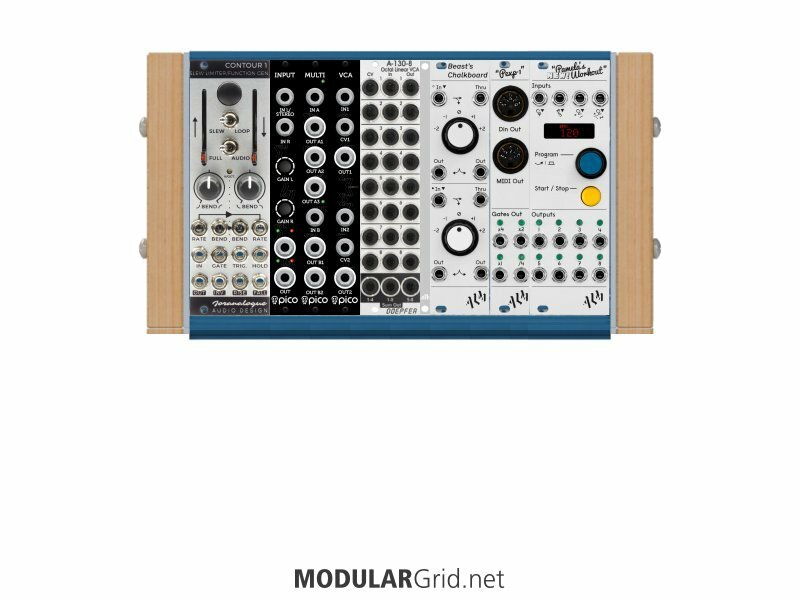 Looking to add Ladik M-217 to control the Korg Volca Sample. Wouldn’t a mixer be useful? In the theme of it, the Pico A-mix? I suppose an all Pico box sorta looks cool, but they still run right around 1/2 the cost of a full size module. So, something like the Stereo mixer and the Dual FX would give you some options. Definitely consider a PICO MScale for this to translate incoming/outgoing CVs for the M32. That'll open things up for making ample use of the negative CVs the Moog stuff uses. Also, instead of the Beast's Chalkboard, maybe using an ALM OA/X/2 would be better? Granted, the signalflow isn't the same, but it does give you swept CV offsets instead of fixed values, plus you can also use it as a proper inverter, and you save a little $$ and 2 hp in the process. One other idea: if you've not gotten the case for this yet, have a look at Pulplogic's Lunchbox series. This would allow you at add either one or two conventional-size rows (depending on which size case) of 1U tiles, which are pretty great as utility devices such as what this cab's intended for. That way, you can jam even more interconnection utility into a space not much bigger than your build above. Plus, they're powered right off the shelf. A logic module or two might be nice. Joranalogue's Compare Two might be considerable.